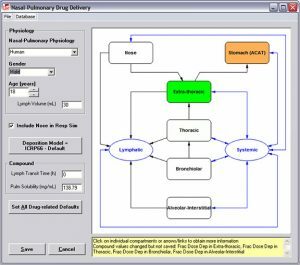 What is the Additional Dosage Routes Module? With the Additional Dosage Routes Module, simulating concentrations through these sites is managed through our easy-to-use interface. Mechanistic, physiologically-based models are provided for each tissue, for different species. You can also customize your own physiology by entering available information into the program. These models are linked with either compartmental or physiologically-based pharmacokinetics (PBPK) in GastroPlus, so you may predict your drug’s distribution and elimination once it enters into the systemic circulation. 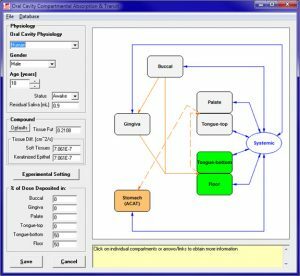 For all of these PBPK delivery models, standard GastroPlus features, including the Population Simulator and Parameter Sensitivity Analysis, can be utilized. Plus, load measured in vivo PK data, for local tissues, to optimize and validate your models. And, finally, as with other GastroPlus modules, there is no equation or code writing required. To fit an absorption-pharmacokinetic model for simulation of tobramycin in adult and pediatric populations. 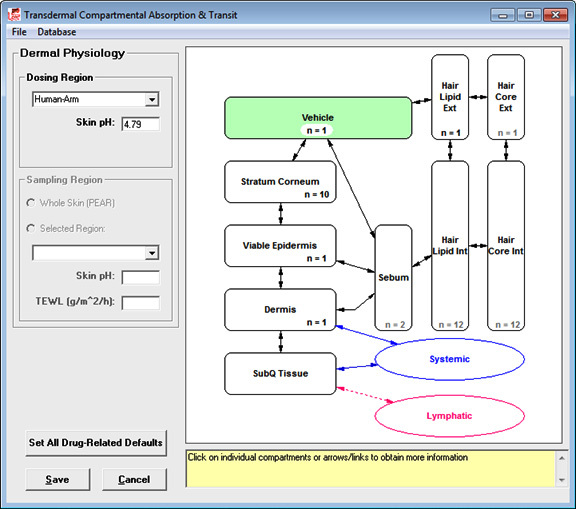 Tobramycin pulmonary absorption and pharmacokinetics were simulated using GastroPlus™. Intraoral (IO) delivery is an alternative administration route to deliver a drug substance via the mouth that provides several advantages over conventional oral dosage forms. The Transdermal Compartmental Absorption & Transit (TCAT™) model represents the skin as a collection of the following compartments: stratum corneum, viable epidermis, dermis, subcutaneous tissue, sebum, hair lipid, and hair core. The subcutaneous tissue is also considered. 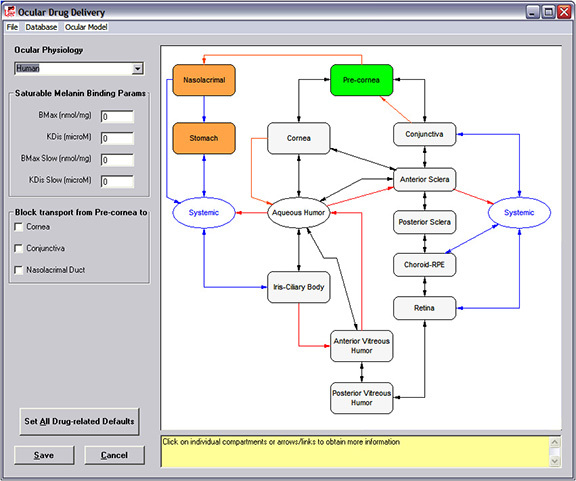 The PBPK model diagram is shown in the figure provided. The Oral Cavity Compartmental Absorption & Transit (OCCAT™) model represents the oral cavity (mouth) as a collection of the following compartments: buccal, gingival, palate, top of the tongue, bottom of the tongue, and mouth floor. The PBPK model diagram is shown in the figure provided. 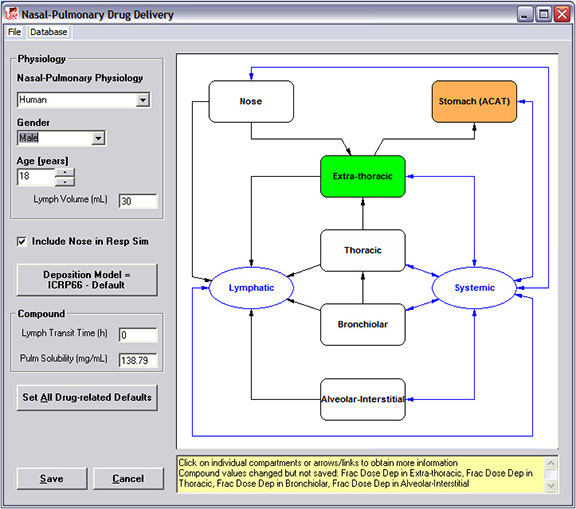 The Pulmonary Compartmental Absorption & Transit (PCAT™) model represents the lung/nose as a collection of the following compartments: an optional nose (containing the anterior nasal passages), extra-thoracic (naso- and oro-pharynx and the larynx), thoracic (trachea and bronchi), bronchiolar (bronchioles and terminal bronchioles) and alveolar-interstitial (respiratory bronchioles, alveolar ducts and sacs and interstitial connective tissue). The PBPK model diagram is shown in the figure provided. The Ocular Compartmental Absorption & Transit (OCAT™) model represents the eye as a collection of the following compartments: pre-cornea, cornea, conjunctiva, aqueous humor, anterior sclera, posterior sclera, iris-ciliary body, choroid-RPE (a combination of choroid and the retinal pigment epithelium), retina, anterior and posterior vitreous humor. The PBPK model diagram is shown in the figure provided. The intramuscular (IM) drug delivery model represents the site of injection as a single compartment. Within this compartment, drug can be bound, and local clearance can take place. Drug can also be transported into the lymph or systemic circulation. GastroPlus now provides two intramuscular (IM) dosage forms, both of which assume that drug is injected into the muscle tissue. One of these is an immediate release (IR) dosage form, with the other treated as controlled release (CR). 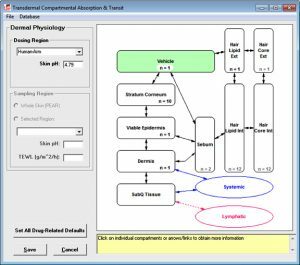 NEW in version 9.6: suspension dosage forms and precipitation kinetics with solution injections!